What is HydroGen on demand? A century old process of electrolysis is the foundation for this technology. Utilizing electrolysis, which is the separation of water [H20] into its components of Hydrogen and Oxygen, is the initial step in the process. By combining distilled water with a catalyst and introducing an electrical voltage to this solution, begins the electrochemical process of separating water into its parts. The separation of the molecules from H2O into HHO or "eGas" is the entire process. On board electrolysis, makes the "eGas" as you drive which is by far the cleanest fuel on the planet. Effect of H2 / O2 addition in increasing the thermal efficiency of the diesel engine is explained here. Hydrogen has 75% flammable character. Hydrogen is the only fuel that doesn’t pollute. Hydrogen will provide clean, sustainable energy to meet the demands of future generations. One litter of Water in an HHO state is equivalent to 1866 liters of combustible gas. Production on demand, no storage. Hydrogen is endlessly renewable, never run out. AAn electrolyzer of the system is what converts the water to gas. The gas is then pulled into the engine through the air induction system of the automobile. Specific design of the HydroGen determines the amount of HHO produced. 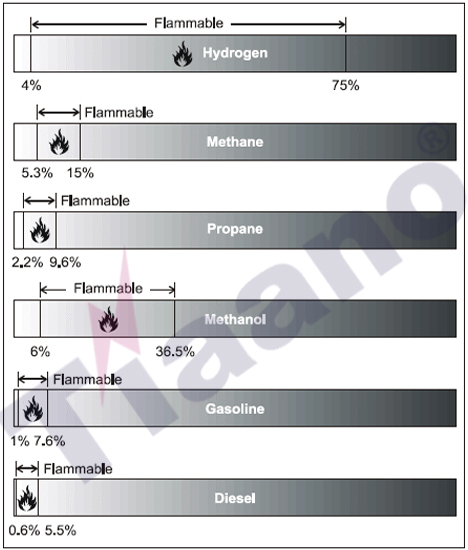 The addition of HHO to the air / fuel mixture extends the flammability limit of Gasoline (petrol) or Diesel. The standard Air / Fuel Ratio of 14.7: 1 can be increased to 20:1 safely. When HHO mixed with the air / fuel vapor of gasoline, will decrease combustion temperature, effectively mitigating NO2 production. Higher air / fuel ratios result in mileage improvements and decreased pollution. The vacuum provided by the engine itself. This is not a new idea. It is based on old “forgotten” science that is well documented in US Patents. We have developed devices that use minimal electricity from your vehicle’s battery to separate the water into a gas called Green Gas, Brown's Gas, Rhodes Gas or OOxy-hydrogen Gas (HHO). This gas burns beautifully and provides TONS of energy; HHO GAS IS 3 TIMES MORE POTENT THAN GASOLINE. You don’t change your engine. You are not converting your vehicle to a hybrid. This is a supplemental fuel injection system. A water container and electrolyzer is placed somewhere on the vehicle. You fill it with DISTILLED WATER and an ELECTROLYTE MIXTURE. The device gets vacuum and electricity from the engine and produces HHO. The HHO gas is supplied to the engine’s intake manifold by air induction through the air intake. The device connects your vehicle battery via the ignition switch or other "POWER ON ONLY" input, to prevent HHO production when the engine is off. This small device forces each liter of water to expand into 1833 liters of COMBUSTIBLE gas. The effects of this technology are lowered missions and improved efficiency as a result of creating a more complete combustion. As any mechanic will tell you, today’s internal combustion engines suffer from poor efficiency of 15 -20% while 80 - 85% of the gasoline, instead of being converted to forward motion, is converted to pollution and heat in the cooling system. This device provides a reduction to each of these factors contributing to the poor efficiency of your engine and low gas mileage. Refer the Guidelines for use of Hydrogen fuel in commercial Vehicles; by American Department of Transportation. Improve fuel economy of 10 to 30%. Works on all Diesels, Gasoline (Petrol) & Biodiesel engines. Potentially a 100% IRS Tax Credit. Hydrogen is the lightest element on earth – fourteen times lighter than Air.